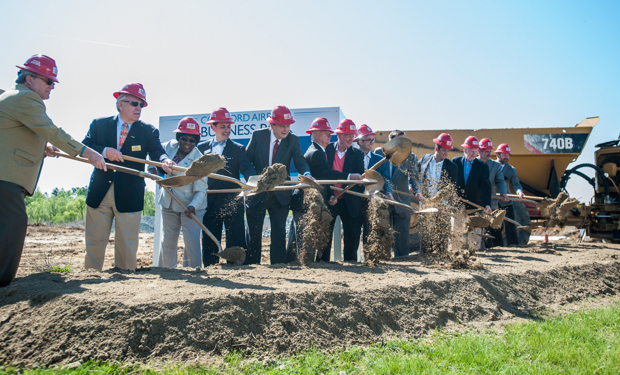 CONCORD, N.C. — The Silverman Group broke ground Thursday on the construction of two new speculative buildings, adding to the inventory of large vacant commercial buildings the area has to market to potential employers. 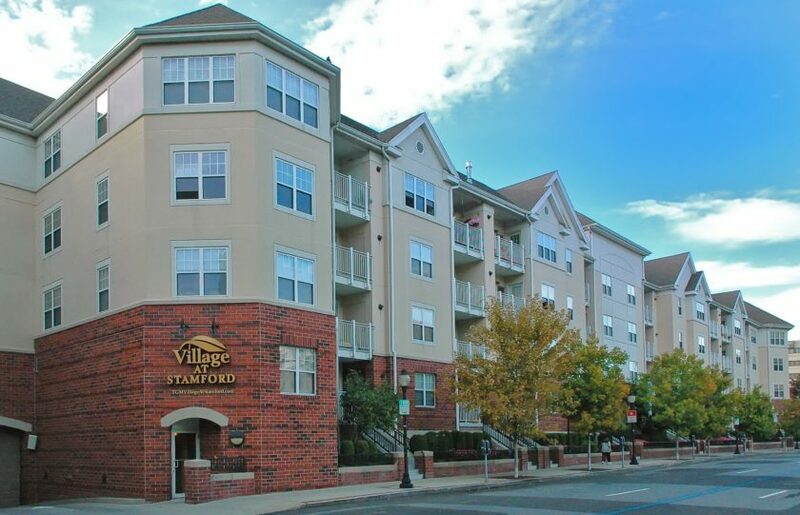 Coughlin said that The Silverman Group, a family owned and operated private equity and real estate development organization based in New Jersey, was the first to announce their intentions to build two buildings on speculation. Buildings are considered to be “spec” or “speculation” sites if they are built before a tenant for the site is identified. “Now we have five speculative buildings either completed or under construction at this time,” Coughlin said. The Silverman Group has started grading the site for a building at 7035 Northwinds Drive and 7055 Northwinds Drive. 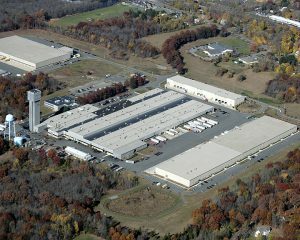 Both buildings are located in the Concord Airport Business Park. The building at 7035 Northwinds will be 400,000 squarefeet with 36-foot height, 40-80 dock doors/side loading and up to 100 spaces for trailer storage. The building at 7055 Northwinds will be 150,000 square feet and 36 feet in height, with 20-30 dock doors/side loading and up to 30 spaces for trailer storage. 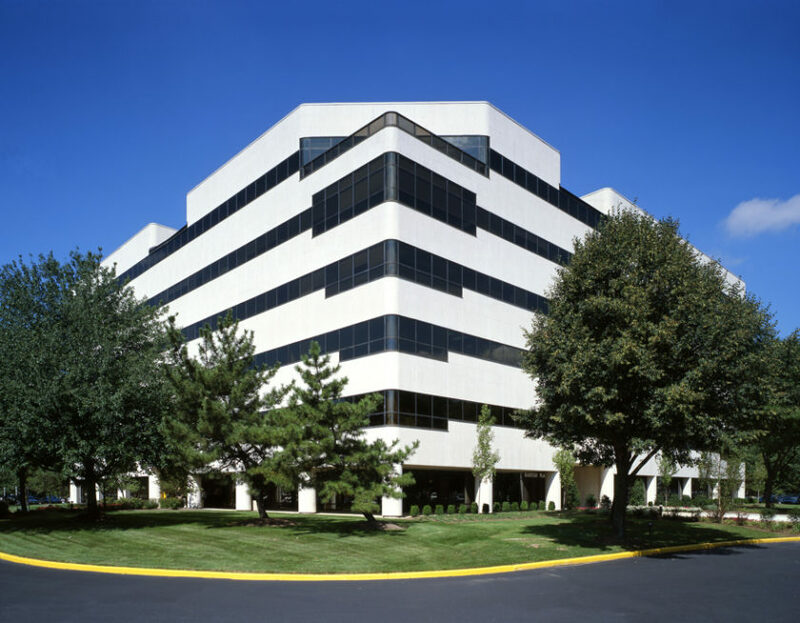 Both buildings are located with in two miles of Interstate 85 and 2.6 miles from Interstate 485 and are located adjacent to Concord Regional Airport. Both have office areas that can be built to suit the tenants. Coughlin said The Silverman Group’s announcement has spurred additional announcements of the development of speculative buildings. 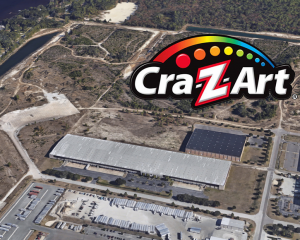 The most recent announcement was for a spec building that has had a sign at the corner of International Drive and Poplar Tent Road for a while, but with no movement. 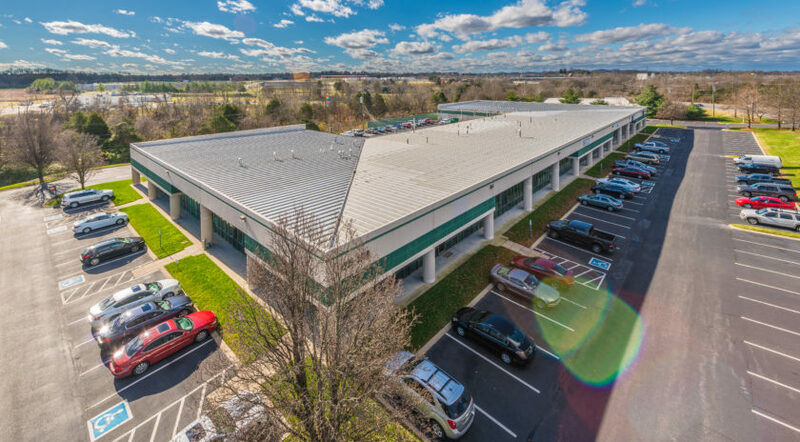 Trinity Capital Advisors announced April 15 that it will break ground this month on a 277,253-square-foot speculative industrial building at 215 International Drive in Concord. The building is expected to be completed by December. Merriman Schmitt Architects designed the building, and Trinity Capital has hired Myers & Chapman as general contractors. 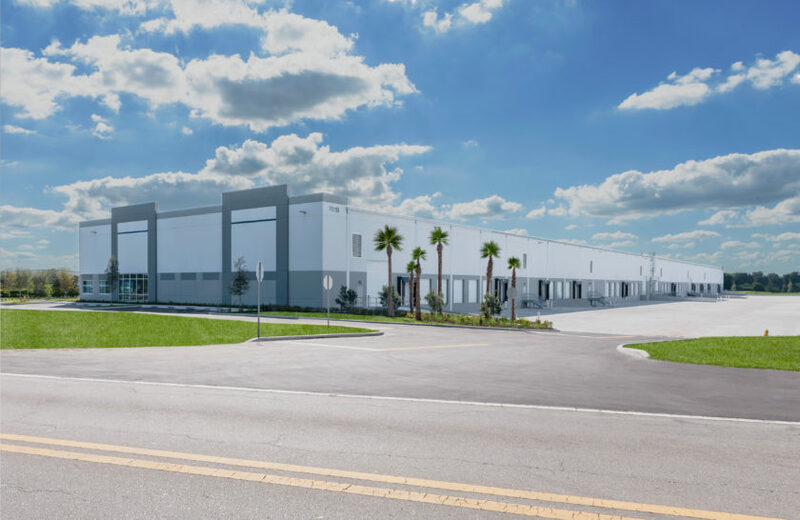 Another recent project adding to the inventory of large vacant, industrial buildings is an 88,000-square-foot building completed recently in the International Business Park by The Nolim Group, which is developing the park. 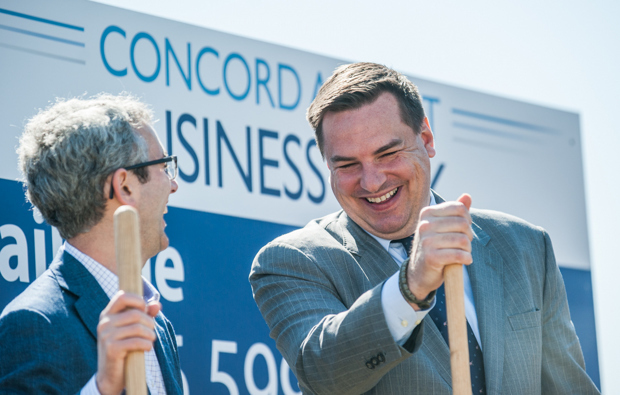 CM Black Construction Company and CESI Land Development Services, both Concord companies, partnered with The Nolim Group to work on the project doing business as 390 Business Boulevard, LLC. 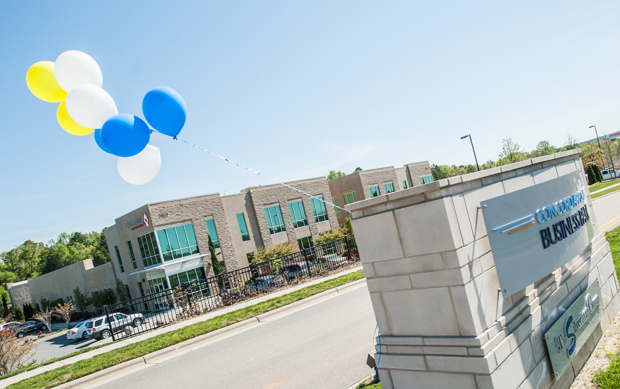 The International Business Park is located off I-85 between Poplar Tent Road and N.C. 73. The new building is at 4541 Enterprise Drive. 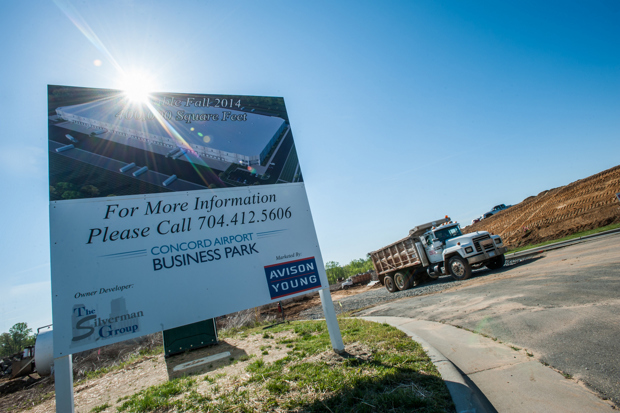 The fifth spec building underway was announced in Kannapolis on March 25. Charlotte firm Childress Klein Properties plans to build a 360,000-square-foot industrial building in the Afton Ridge Business Park in Kannapolis. Known as Afton Ridge 1, the building will be designed to house manufacturing and warehouse space. It will feature a 30-foot clear building height, 78 dock doors, as many as 237 auto and more than 100 trailer parking spaces, and its location will give occupants immediate access to I-85. Coughlin said spec buildings are sorely needed in Cabarrus County. None of the sites has confirmed tenants, but Coughlin said he anticipates they will find tenants quickly. During the groundbreaking Thursday, local leaders Mayor Scott Padgett, N.C. Senator Fletcher Hartsell and Congressman Richard Hudson each spoke. 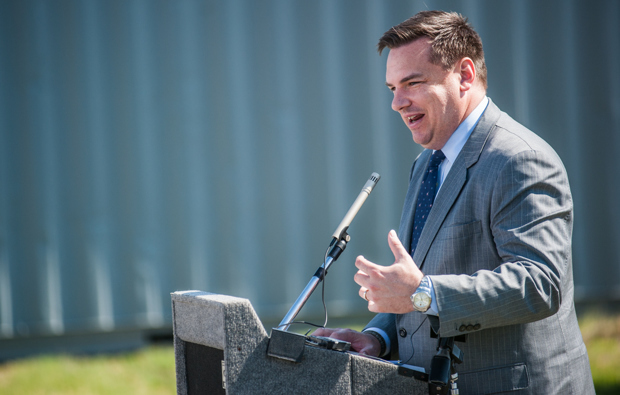 “This is an opportunity to bring development, investment and jobs to this community,” Padgett said. “We’re appreciative that you’re confident in the City of Concord,” he said. 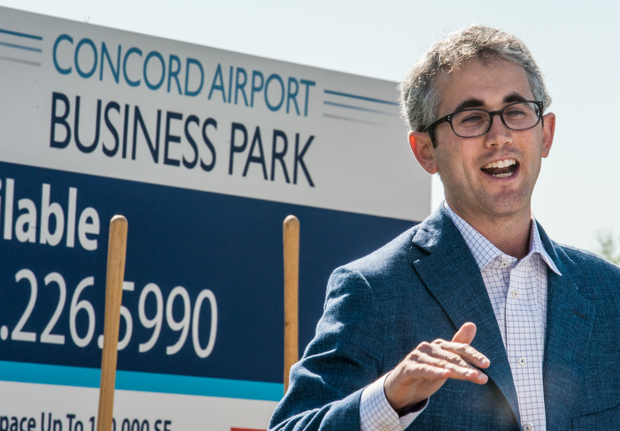 Hartsell applauded Concord officials for the decision they made 20 years ago to develop the Concord Regional Airport, which continues to grow and is located near The Silverman Group’s new spec buildings. 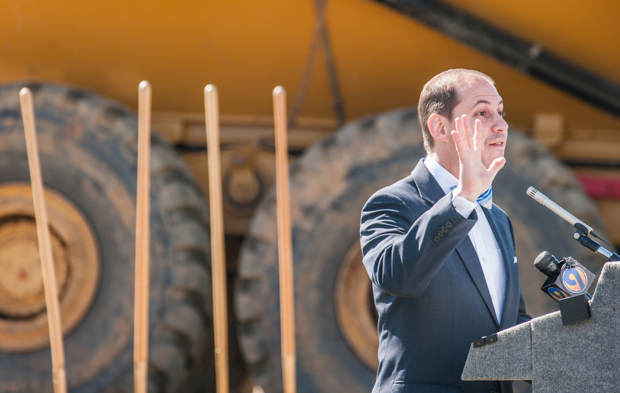 “With these facilities we will have the infrastructure for jobs to come here,” he said. 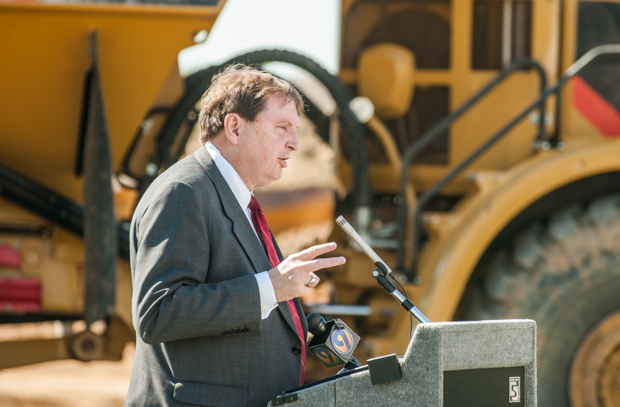 Hudson said the development is a great sign for the future for Cabarrus County. 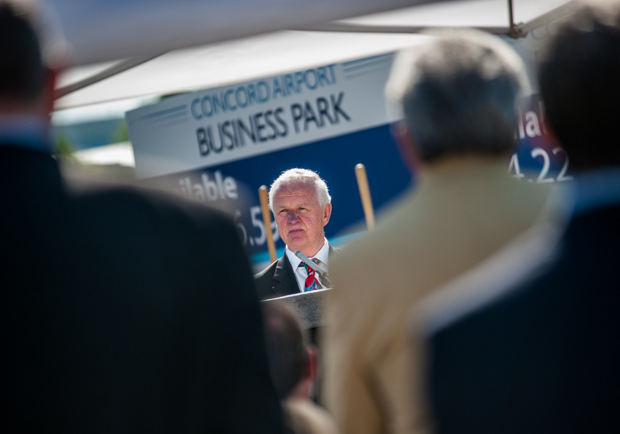 Hudson said one of his proudest moments as a congressman was saving the funding for the Concord Regional Airport control tower, which was threatened by sequestration cuts last year. Coughlin said the next step for Cabarrus County is to develop the workforce for high-tech manufacturing jobs. 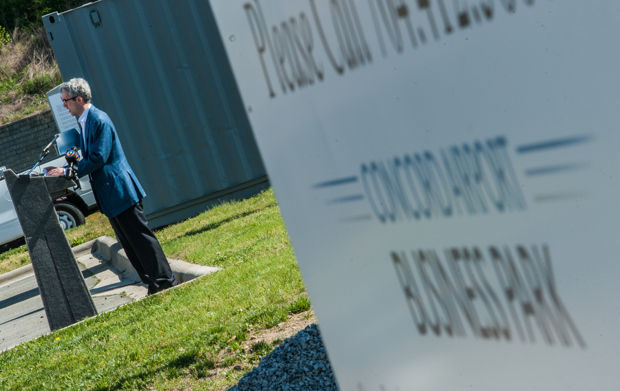 A recent announcement about the sale of the Philip Morris property in Concord stated that the space will likely be filled by a clean-tech infrastructure manufacturer. Already, Concord has added new types of high-skill manufacturing such as the Celgard, which makes lithium battery separators used in smart phones and electric cars. Meanwhile, Corning has a fiber optic production plant on U.S. 601 in Midland.